The Alpha Sigma Alpha Foundation is seeking members interested in serving on the Foundation board of trustees. The board of trustees has numerous responsibilities which include fundraising, grant and scholarship administration, strategic planning and financial oversight. A trustee supports the mission, purposes, goals, policies and programs of the Foundation and has a thorough understanding of the governing board bylaws and policies in order to fulfill the fiduciary responsibility to the organization. Anyone interested in serving as a trustee may fill out an interest form here. Members may also use this form to make trustee recommendations. 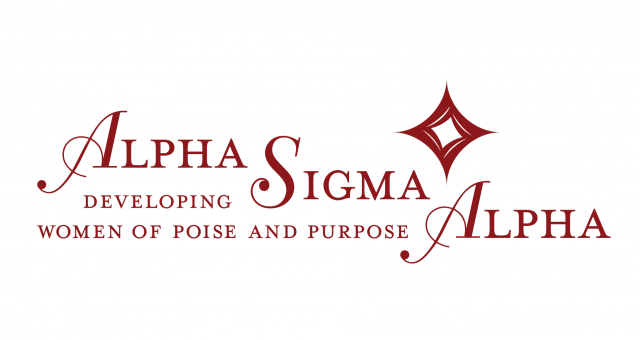 Alumnae members of Alpha Sigma Alpha are eligible to serve in this role. Please submit all recommendations by Mar. 15, 2019. For questions, please contact fndstaff@AlphaSigmaAlpha.org.